2019 Pool Season is Coming Soon! 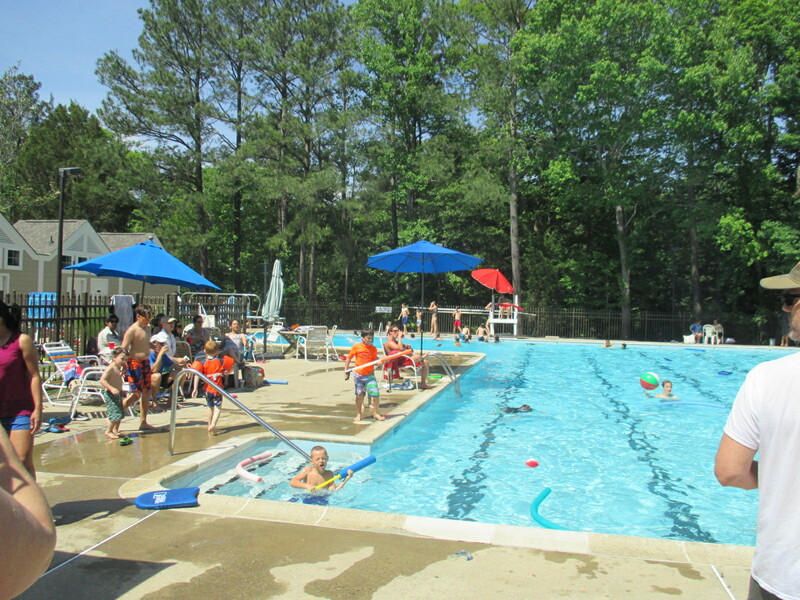 The pool opens on Saturday, May 25, 2019. Saturdays & Holidays, 10:00 a.m. – 8:00 p.m.
Sundays 12 noon – 8:00 p.m.
Monday-Saturday (& Holidays) 10:00 a.m. – 8:00 p.m.
Sundays, 12 noon – 8:00 p.m. Swim practice times are posted on the Kingspoint Dolphins Swim Team Website. One lane will remain open to the public during practices. The pool will close for home swim meets. Meet dates are posted on the team website. Mondays & Thursdays – 10:00 a.m. to 10:45 a.m.
All Kingspoint Club members and non-resident pool users are welcome! *No classes the week of July 4th. No classes on July 11 and August 22nd. Recruitment Incentive Program! Join the pool and recruit your friends to join! $50 rebate per referral (maximum rebate = $300). Referrals must be NEW first-time pool members and must give your name when joining. Guests must be accompanied by a member. There is a $2 fee per person for local guests (WJCC and Upper York County residents). There is no charge for out-of-town guests or grandchildren. Kingspoint residents must be Club members to be at the pool. If you live in Kingspoint and you have not paid for pool membership, then you cannot be a guest of a member.